Each year in October, the City of Vancouver joins communities and organizations throughout the region to mark Homelessness Action Week. In honour of this important event, we’d like to share one of Hollyburn’s longest-standing and proudest community initiatives. Twelve years ago, Hollyburn Properties and Covenant House, a non-profit providing shelter, food and crisis care to homeless youth, began a partnership. What started with a monthly clothing drive, has since expanded into a unique transitional housing program for homeless youth. 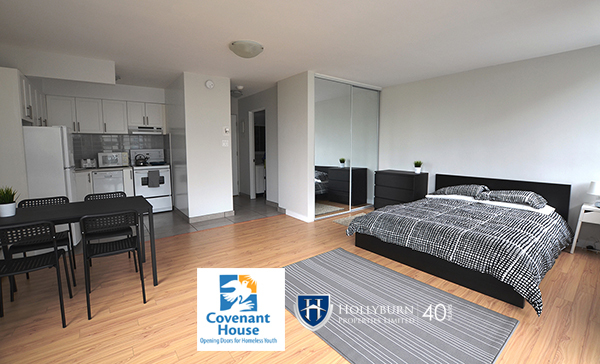 Hollyburn currently donates five fully furnished and fully subsidized apartments to Covenant House youth in Vancouver (3) and Toronto (2). “Hollyburn was the pioneer in progressively supporting those who need housing most by giving them just that – actual housing!” – said Marty, CH Associate Manager. This program is one of the ways we build our community. Do you give back in your own way? 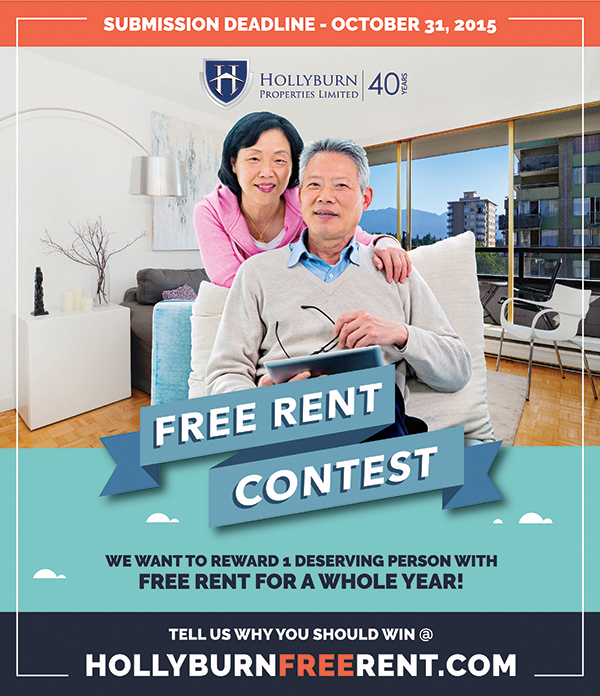 Tell us how and enter our contest to win FREE RENT FOR A YEAR until October 31st, 2015. Check out other City of Vancouver events and initiatives committed to raising awareness and ending street homelessness, on until the end of the month.